Co-written by Vince Carter and Michell Beer of TheSmarterShift blog. 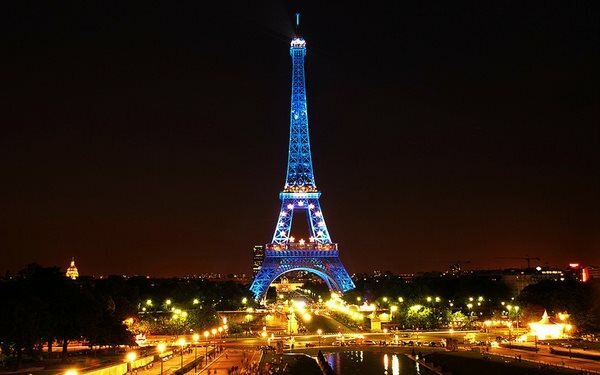 On the eve of this historic event, the general consensus among participants now arriving in Paris is that private industry and innovative market solutions will be a vital part of achieving our climate goals and will be the key to meeting the complex challenges of poverty, health, and resource scarcity that are contributing to the increasing levels of social unrest and violence around the globe. Amazingly, even prior to the start, the effects of the Paris meetings are already apparent. Just the lead up to COP21 has helped cement the public will to push governments for dramatic changes to our global systems and move the world toward a sustainable future. This has bolstered the resolve of diplomats from around the world who met earlier this fall in New York and agree on the United Nations’ Sustainable Development Goals (SDGs) and are now convening in Paris to agree on a global framework to control climate change. As action plans take shape for implementing those goals, the search is on for front-line approaches that are realistic and financially feasible. Supporters of a Paris climate agreement and the SDG’s 17 goals sustainability goals say that these agreements are exactly what is needed to lead the global community toward a livable future. Detractors say the goals will be nearly impossible to achieve. Even the SDGs’ supporters and those working for a COP21 agreement disagree on how best to achieve a set of ambitious goals. Perhaps that’s no surprise, given the complexity of the issues—particularly through the top-down lens of an international agency, or a global meeting of national negotiators. It is easy to see how some people remain skeptical. Make no mistake; there’s a lot of power and momentum gained when the international community reaches agreement on a set of lofty objectives—look no farther than the SDGs themselves, or the make-or-break global climate change summit set to start in Paris tomorrow (November 30th 2015). Every community has its own unique needs. Top-down policies can point the way toward solutions, but the action has to focus at the local level. Local solutions take weeks, not years, to put in place. That makes it a lot easier to innovate, learn, adapt, and scale up the ideas that work best in practice. When business delivers a market solution at the local level, they mobilize the power of private capital to deliver social, economic, and environmental benefits to communities around the world. As the delegates are arriving in Paris, many are pointing to the successful model of private capital backing local business to provide market solutions and bring about the big changes needed to control global warming, health pandemics, poverty, and resource scarcity. Leading analysts like Ceres are calling for a Clean Trillion in annual private investment to build a low-carbon economy by mid-century and other market watchers have been reporting the realignment of private capital investments in business enterprises focused on the demand side of the global transition toward a sustainable future. Businesses large and small are recognizing sustainable development as one of the biggest market opportunities the world has ever seen. And cities are the areas where so many of our sustainability needs come together, from our shelter, to energy use, water, food, fuel and access to services and amenities. 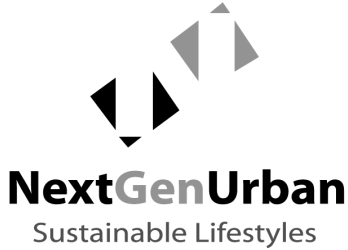 As always, consumer expectations will be the force driving the shift to a sustainable society and in housing, those expectations point increasingly toward a particular design approach, exemplified by NextGenUrban’s Sustainable Lifestyle Communities. “By building our proprietary cleantech infrastructure into each one of our projects, we build sustainable, zero-waste, carbon-neutral neighborhoods that create the hassle-free, sustainable lifestyles that residents crave,” said NextGenUrban Chief Operating Officer Vince Carter. In an era of rapid population growth and urbanization, that mix of characteristics is what distinguishes a sustainable lifestyle community from traditional green buildings or real estate. Incremental improvements are fine if the goal is to make a conventional design less inefficient, its energy and water use less unsustainable, or its waste output less voluminous. But with the world’s urban population on track to grow by 3.5 billion over the next 35 years, for-profit impact funds will be looking for more comprehensive solutions. Co-written by Vince Carter and Mitchell Beer of TheSmarterShift blog.